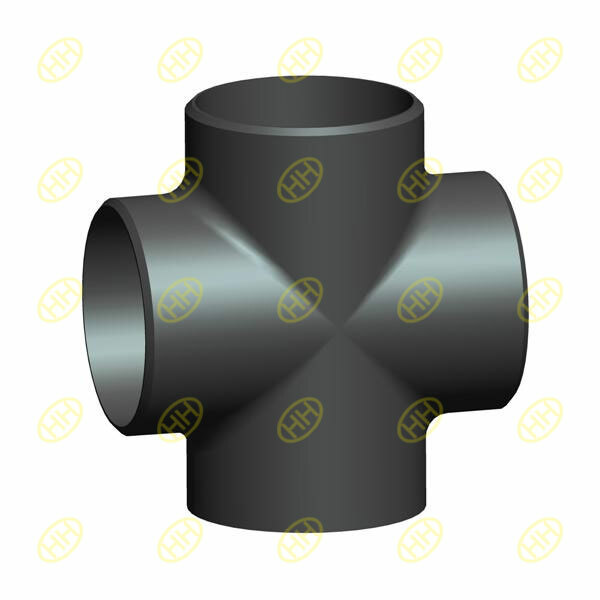 The equal pipe cross is one kind of the pipe cross, just like a equal tee, the equal cross means all the 4 ends of the cross are in same diameter. The pipe cross, like a road cross, is the joint of 4 pipes. Receiving the pressure from the 4 pipes, the weld joint between the pipes and cross must be very strong. The cross can not control the flow direction by its shape, So the four ends of the cross commonly are only one inlet and three outlets, or one outlet and three inlets. Standard: ASME/ANSI B16.9, MSS-SP-75, DIN , EN 10253-2 , JIS B2311, GOST . Material: ASTM A234, ASTM 403,ASTM A860, DIN 17175, EN10228 …Carbon steel, stainless steel , alloy steel.